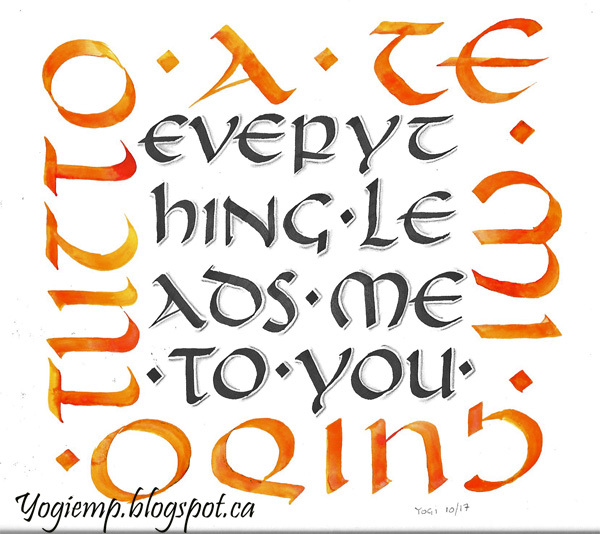 I took an Uncial calligraphy class taught by Kerri Forster - 2hrs/week for 4 weeks this October. It was a fabulous refresher for me. I always get my various styles of letter forms mixed up... 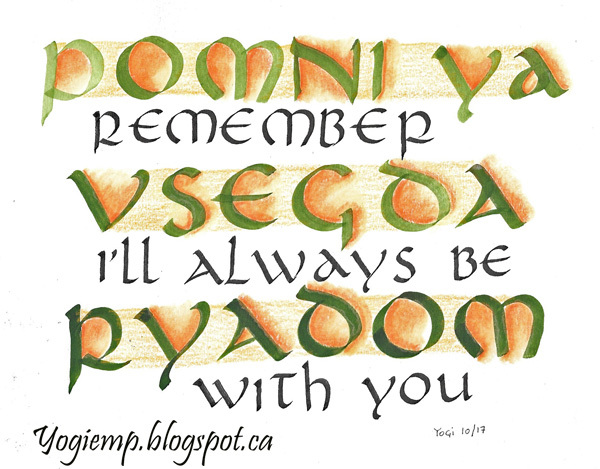 I'll add some Italic in with Uncial etc. But I think I got a good grasp this time. Loved the 4 part structure of the class. Gave me time to explore and practice. 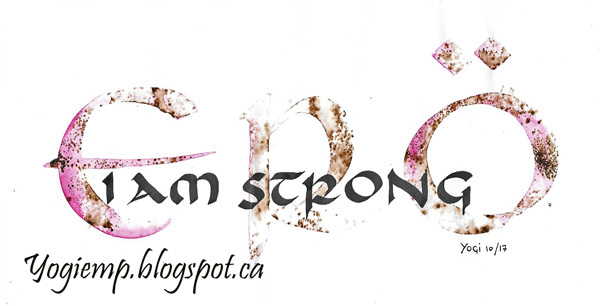 The quotes I used to create my artwork are from books I've read in the past year and that resonated with me, starting with the "I am strong" quote which started me on this journey. So we have some Italian, then some Hungarian and below some Russian... and no, I'm not conversant with any of these languages.